This case study analyzes the availability and uses of teaching techniques and computing technologies in Grades 10, 11, and 12 Computer Applications Technology classes in a remote town in South Africa. 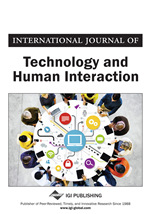 The technologies and techniques trialed show promise of usefulness in being more engaging to student interest than the prior method. Human factors issues focus on ease of use and intuitiveness of technologies for both teachers and students. With 50-minute classes, if the technology becomes a hurdle rather than a vehicle for teaching a class concept, it defeats its own purpose. Thus, to be successful, technologies need to be selected carefully, matched to pedagogical goals, calibrated for student skills, installed, tested, and ready for use. Students need support, encouragement, and, occasionally, prodding to use new technology. Thus, ICTs in the classroom require a technologically and pedagogically knowledgeable teacher.